The Lens Is Our Livelihood | What's Your Livelihood? It took us a while to figure out what we were supposed to do in life and also to make a living. Molly’s dad always told her, “Do what you love, but find a way to make money at it.” We were making dramatic short films as a creative venture, when our cousin told us we should try videography. This strange word held such promise. For the past nine years we have been partners in our video company called The Silver Screen, Inc. We started out primarily as wedding videographers and have branched off into more commercial/corporate work and photography. But whatever the project…it’s the story that’s still important to us, just like when we were kids. Now, as adults, we just have bigger toys. We both have our different skills and talents that range from novel and children’s writing, to playwriting and photography, but we’ve found that when we combine our passions and ideas we can create more than either of us could have accomplished alone. Is it always easy to be married and work and create together? Not always, but most often it’s creative synergy. 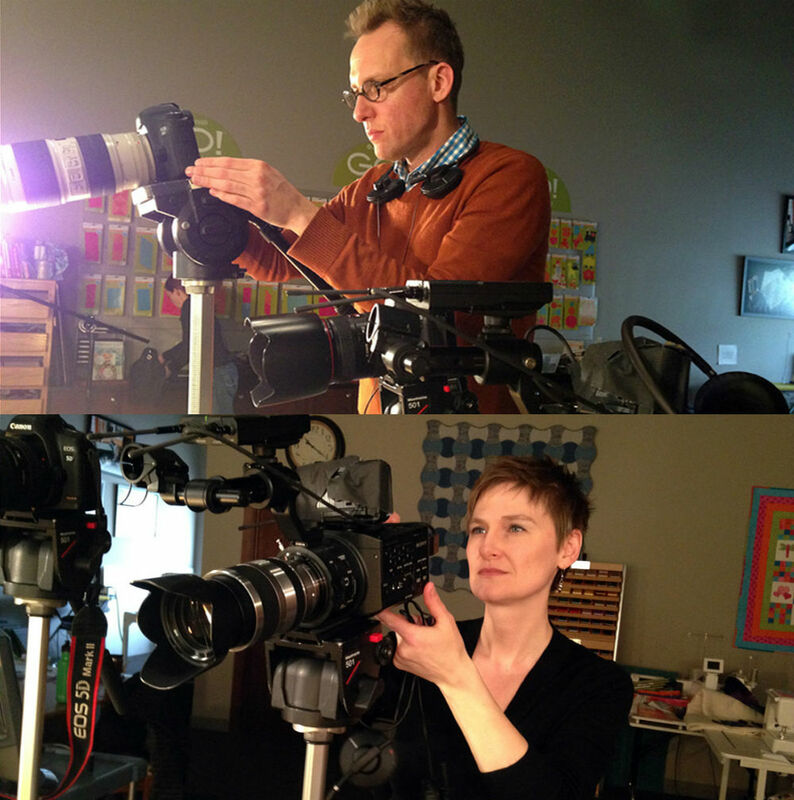 Much of what we do is filming mini-documentaries, whether it’s a wedding day or a corporate video. It’s about people’s lives and passions and that is what excites us about creating video content. We both have an insatiable need to tell the best story we can with whatever medium we choose to work in, and we challenge and inspire each other towards excellence. Just like this article, one of us started it and the other will make it better…and that’s how it works! Molly and Aaron are co-owners of the full service video production company The Silver Screen, Inc. as well as Aaron Zavitz Photography. Their video clients include KANEKO, Omaha Steaks, Blue Barn Theatre, Catering Creations, Metropolitan Community College, Joslyn Castle and many more. 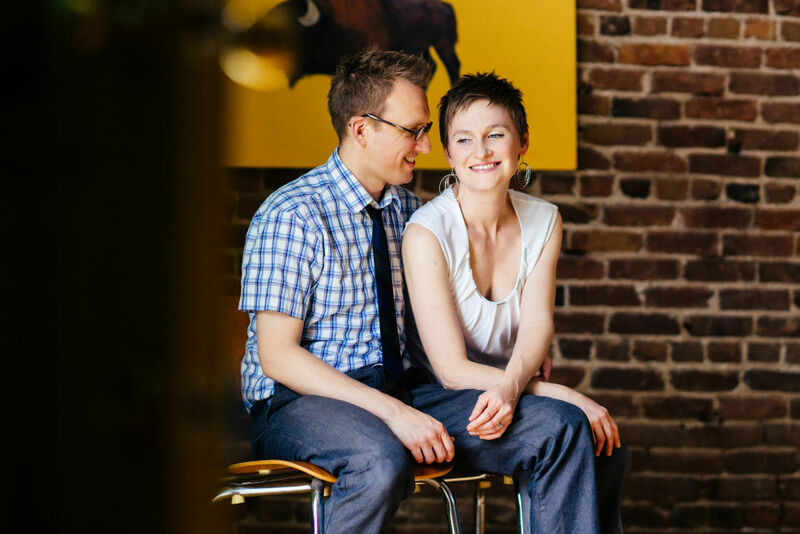 Both have fine arts degrees from UNO where they met–Molly, a degree in Art History, and Aaron, a degree in Dramatic Arts. They are co-founders of Hunger Artist Films, a film collaborative where they have received film awards from Hot Shop Film Festival, Omaha Film Festival, Metropolitan Community College, Sony/Videomaker Magazine, and Indie Fest. Their greatest creation to date is their daughter, Alexandria, born in 2012. Currently, they are co-writing a feature length screenplay. This entry was posted in Alternative, Photography, Uncategorized and tagged film, The Silver Screen, University of Nebraska-Omaha, video by Nebraska Cultural Endowment. Bookmark the permalink.